Composed by Jay Rouse. Sacred, Christmas. Lillenas Publishing Company #9780787758080. Published by Lillenas Publishing Company (LO.9780787758080). 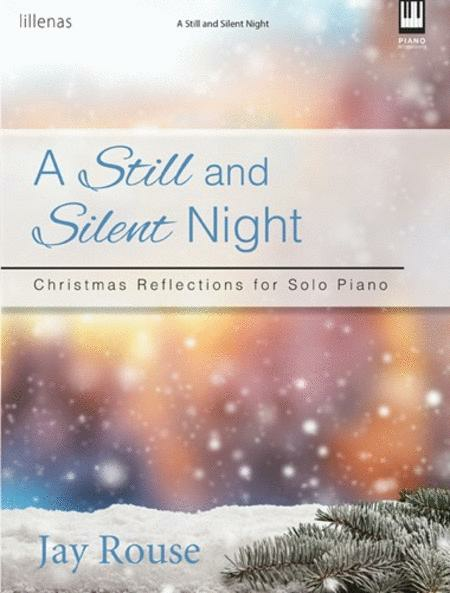 During your busy holiday season, take a few moments at the piano for peace and reflection with "A Still and Silent Night." 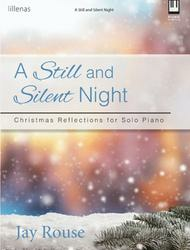 Jay Rouse crafted this collection of his favorite Christmas melodies with exceptional mastery and flair. The titles included vary in difficulty from moderately easy to moderately advanced, resulting in a delightfully versatile resource. This is an advanced/intermediate level and the blends of songs are beautifully merged. Received this and almost immediately used it for background music at an art gallery opening. Good comments from listeners, and fun to play. Good quality paper and printing, too. able to play easily without multiple hours of practice. A good value!